Disclaimer: I’m not a lawyer and this blog post is not intended in any way to be legal advice. It is merely my understanding of certain legal terms and procedures that may be helpful to the crime fiction writer (or reader). Corpus Delicti (meaning “body of the crime”) is a latin term that signifies the need to establish that a crime has occurred before a person can be convicted of that crime. As Perry Mason was fond of saying in many of his cases involving murder: “Corpus Delicti does not literally mean that there needs to be a body, it just means that there needs to be enough evidence to establish that a crime has been committed.” For example, maybe a witness saw the murder being committed but the victim’s body cannot be found, there is still enough evidence (assuming a reliable witness) to establish that a crime has occurred. Together with Actus Reus (guilty act) and Mens Rea (guilty mind), Corpus Delicti establishes the important details of prosecuting a criminal act – i.e., there must be a criminal act, the accused’s conduct must have resulted in the crime, and in certain cases, this conduct must have been intentional. So what happens when a crime is committed and someone is accused? The suspect or suspects are arrested. Once arrested and booked into county jail, the suspect is presented before a magistrate or municipal judge for a preliminary arraignment. At the arraignment, bail is set, and the suspects are advised of their constitutional rights and the charges against them. A preliminary hearing is scheduled in a week to ten days, where a judge establishes that there is a prima facie evidence that a crime has been committed and that there is reasonable grounds to believe that the suspect committed the crime. The suspect enters their plea at this hearing. 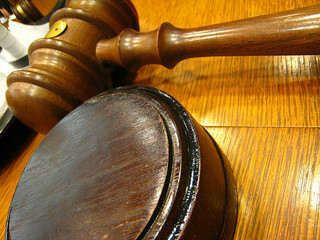 In some states (in the United States that is), a Grand Jury convenes to examine the evidence and decide whether the case against the suspect should proceed. If found guilty, Probation or Incarceration . That concludes an extremely abridged version of criminal procedure in the United States. Of course, there are any number of variations on this theme, and differences depending on which state you are in. The procedures and steps also vary considerably in another country. PSA of the week: Jury Nullification. Peter – What an excellent choice for C! And it’s a very good reminder of how important it is to be realistic and authentic about criminal procedure. Thanks Margot. It’s amazing how complicated and maze-like the justice system is. That and taxes. My interest in crime ends when the prep is apprehended. It is interesting to know that criminal procedure after the arrest. Interesting post! I know right! It’s hard to make the rest of the system exciting and thrilling especially in a mystery book. Very interesting. Of course I have heard the term before, but never really knew exactly what Corpus Delicti meant in the legal sense. And the mention of Perry Mason makes me want to read some of those soon. Tracy, if you haven’t read a Perry Mason yet, you definitely should! They are such an easy and satisfying read. Gardner does a great job of shepherding a reader through the court system. Peter: A good summary. Whether there is a crime can be a challenging question especially in areas of fraud. Is it a civil wrong or a criminal offence? Courts have never found an effective definition. There is good reason to be wary about people wanting to use the criminal justice system to claim financial wrong doing. Bill, thanks for the kind words. You are so right. It seems easy to appear “tough on crime” by making a felony out of everything.